Vietnamese Zen Master and peace activist Thich Nhat Hanh and the monastics of his Order of Interbeing have an exercise they teach to Westerners whose suffering largely comprises narcissistic wounding rather than physical illness or material privation, and who have great difficulty being happy despite their often over-abundance of economic resources. Because these Westerners often feel deracinated, isolated and especially bitter toward their parents, the exercise, called Touching the Earth (a secular version of the Buddhist prostration), is designed to re-connect these lonely, self-starving souls (or, in Buddhist terminology, “hungry ghosts”) with their “blood ancestors” as well as their spiritual ancestors (teachers) and “land ancestors” (the historical people of the place in which they live). Because it is usually the first, the blood ancestors, with which Europeans and Euro-Americans have the greatest difficulty, this part of the exercise dwells in specificity. The retreatants are asked to visualize each parent in turn in his or her youth, say, late teens or early twenties, on fire with life, aspiration, dreams, optimism, and youthful vitality, looking toward the future with hope and energy. This in itself is so powerful that many people are overwhelmed with compassion for the parents they never knew but perhaps had seen in photographs; the parents they know on a daily basis are often sad, distant, troubled, sometimes abusive or unresponsive. The sharply poignant sight, actual or imagined, of someone we know as suffering and “difficult” in a youthful mien of visionary hopefulness, can open us to new interiorities. The Hannah Weiner I see in the cover photo on Hannah Weiner’s Open House expresses that happy visionary promise of creative youth and unbounded possibilities. In profile, beautiful and upward looking, she could be gazing into a lover’s eyes if that lover were Words or Art or Poetry or Life. She looks like a Jewish Radcliffe girl from the 1960s with artistic aspirations, which she was. She doesn’t look as if she would end up schizophrenic, alone, reclusive, delusional/clairvoyant, loved by her sorely tested literary friends and supporters but ultimately beyond their reach, which she did. She is a spiritual ancestor–a “page mother”–of many writers and aspiring creative women now, myself included, but there has persisted a stigma or stain of craziness surrounding single women who are creatively unorthodox, and in some ways underneath the admiration is a kind of fear, as if she were a cautionary tale about disoriented-because-unattached female vision-creators. That is why this photograph, the title Hannah Weiner’s Open House, and the book it frames is a tonic for the ethical and aesthetic dilemmas surrounding Hannah, her innovative artistry, and her illness, and most especially the critical discourse around her work. Editor Patrick Durgin’s labor of love brings Hannah back into legible harmonious discourse, without domesticating or disempowering her poetics. This is essentially a “selected,” spanning Weiner’s writing career from the late 1960s to her death in 1997, and comprising both well-known and previously unpublished work. It is beautifully designed and very pleasing to (be)hold and read. Durgin’s introduction deftly and concisely covers a lot of ground: Weiner’s biography (born and raised in Providence RI, graduated Radcliffe College 1950; participated in the body-art and performance scene in New York City in the 1960s and 70s; began to see–hallucinate?–words in the 1970s, and increasingly incorporated these words into her writing in what she came to call “clair-style”); participated actively in the poetry world of NYC, devoted increasing attention to Native American rights and began a course of “silent teaching” with invisible avatars who taught her to telepathically heal others; died in 1997; has been the subject of an increasing (though still fledgling) body of critical literature from the fields of poetry and poetics, feminist literary criticism, disability/trauma studies, art history, etc. He touches on the major foci of critical interest: the “clairvoyance,” the boldness and consistency of the experiment over multiple decades, the issue of illness and its status in appraisals of her work. 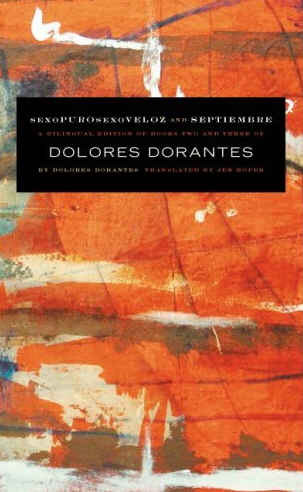 But he does so without overshadowing the primary purpose of the book: to showcase Weiner’s artistic development through samples of published and unpublished pieces from across her career in a range of genres: author’s auto-bio, interviews, the diaristic tri-voiced poetry for which she is best-known, short plays (written in translated International Coast Guard semaphore code), etc. As some of the previously unpublished work is undated, it is not, strictly speaking, a chronological survey, but gives a widely representative and simultaneously coherent sampling of the oeuvre. The selections aptly capture the disorientation, humor, politics, ethical strivings, pragmatism, and exploratory excitement of Weiner’s aesthetic/ethical commitments. The contents of the book are delightful. They range from Weiner’s documentation of her early days as a performance artist (avant la lettre) in the form of notes for or records of planned events such as a meeting with the “other” Hannah Weiner (a psychotherapist) on a street corner, other “street works” such as vacuuming the street in a kind of missionary vision of making public women’s domestic labor (“The world works with a little help from us all”), and the “open house” that gives the book its name. Short and whimsical poems follow, including the charming “Magritte Poems,” and then a substantive selection from the Code Poems, including the marvelously funny rewrite of Romeo and Juliet in truncated semaphore communiqués that make for alternately oblique and crude translations of Shakespearean language (“J: Can you renew the action? /According to the usual practice? … You/ screw well/ R: Are you coming?”) An essay accompanying a 1969 “Fashion Show Poetry Event” that included people like Andy Warhol, Alex Katz and Claes Oldenburg as well as Weiner continues the meditation on the concept of codes, coding, translation and difference (“Fashion language is a complicated code… We communicated to the artists our generalized instructions. They translated these instructions into sketches, models, and finally actual garments. The feedback [i.e. the garments] was then translated by us into fashion language… There is a difference between a description and that which this description appears to describe. We are interested in this difference”). We can see that Weiner and her colleagues in artistic practice anticipate the Derridean revolution. Then the “clair-style” makes its first appearance, in a poem (for? about?) entitled “Jackson Mac Low” whose first line–“who is impossible as a leader who is jackson speaker”–reminds sharply of the first line of Gertrude Stein’s “Picasso.” A few poems later we have a description of the clair-style, “The words in CAPITALS and underlines are words I see,” and then a significant chunk from one of her out-of-print but legendary masterpieces, Clairvoyant Journal. 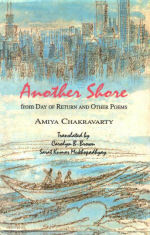 Other books are excerpted as well, to good effect; Spoke, Little Books/Indians. Poems that were published as books by a variety of presses–“Sixteen,” “Written In,” “The Zero One”–are presented in their entirety, while a few poems from later books such as Silent Teachers/ Remembered Sequel and We Speak Silent conclude the volume. Interspersed are a number of previously unpublished poems that are wondrous in their acuity. One can only wonder what will never come to light, what work was thrown out when Weiner died and her family, not quite realizing her value as a literary force, cleaned her apartment of notebooks, paper, and typed manuscripts, some of which were miraculously found and rescued by poets strolling by the garbage can where they’d been deposited. What comes through in all the work is exuberance, inventiveness, commitment, and ethics: the need to make stuff out of words and daily life, and the commitment to seeing that process as part of a larger world picture of social justice and active engagement with issues of oppression and genocide. One may well doubt the “efficacy” of such a practice, but efficacy is neither Weiner’s aim nor the most rewarding criterion for experiencing the work nor judging the value of the politics. Rather, it’s the encounter with the sheer strangeness and ambition of the vision and its execution, the painstaking and zestful project of transcription of the collision of the everyday and the bizarre, the paranormal and the mundane. In Spoke and Clairvoyant Journal especially we see the words swoop, dip, careen across the page in disorienting sequences that are initially overwhelming, but become marvelously energetic scenes for engagement once one has overcome one’s anxiety about proper reading practices. 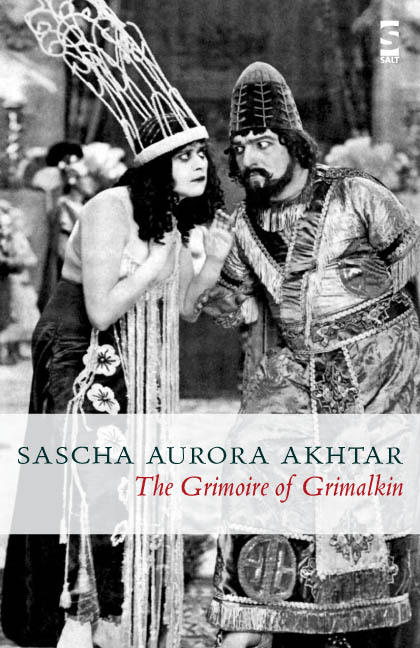 This compendium offers a brilliant introduction to further intimacy with this most intimate, lovable, and zany writer. 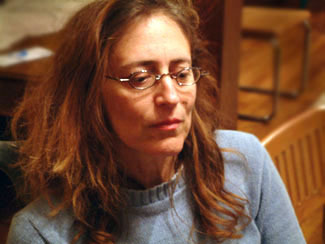 While Spahr’s work is notable for its almost obsessively systematic and logical progressions and Weiner’s for its wild self-interruptive leaps, and while Spahr tells the story of her own ambiguous and ambivalent rise through the class system as Weiner instanciates a falling from the grace of suburban Jewish middle-classdom into a bohemian hard-scrabble life, Spahr is clearly marking Weiner as one of spiritual/literary ancestors. Looking at the open and receptive, glowing and beautiful Hannah on the cover of Hannah Weiner’s Open House, one rejoices with gratitude for Weiner’s opus, and that a texture of critical affirmation of this groundbreaking pioneer of verbal art can be layered ever more fully thanks to this volume’s appearance. Open House by Hannah Weiner.Chicago: Kenning Edition, 2006. Paperback. 178 Pages. Maria Damon teaches poetry and poetics at the University of Minnesota. She is the author of /The Dark End of the Street: Margins in American Vanguard Poetry/; co-author (with mIEKAL aND) of three poetry books (/pleasureTEXTpossession/, /eros/ion/, and /Literature Nation/); and co-editor (with Ira Livingston) of /Poetry and Cultural Studies: A Reader/.